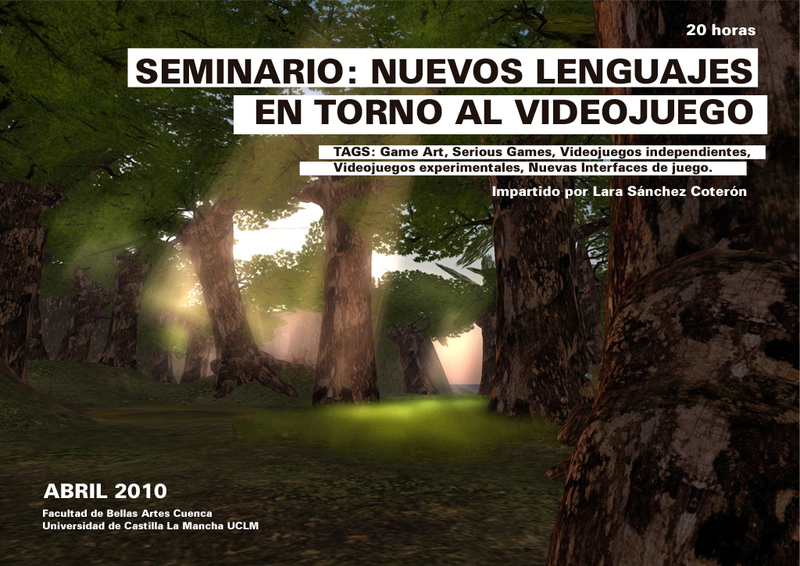 El próximo jueves 22 abril 2010, impartiré una ponencia sobre creatividad dentro del Grado de Diseño y Desarrollo de Videojuegos que ESNE tiene en colaboración con la UCJC. Spy game about subtle behavior, deception, performance, and perception. Spy Party by Chris Hecker is a two-player game inspired by an inversion of the Turing test. The Turing test is so difficult for a computer to succeed at because language is so complex and difficult that only humans or truly functional AI could master it in a realistic and believable way. But what if you made the language very easy and instead of a computer trying to be human, you made a player try to act like a computer? Two players – one a spy, one a sniper – are in asymmetrical competition. 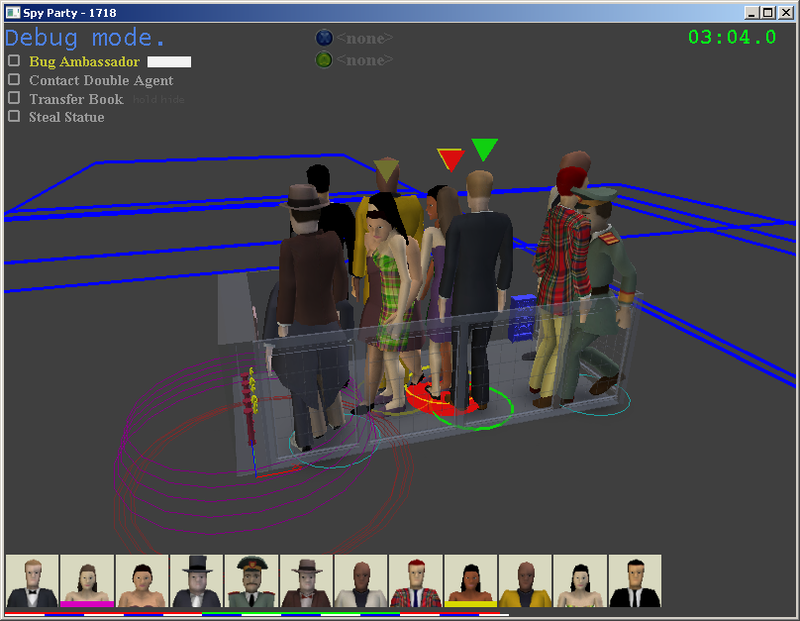 The player must move around a party completing objectives that the other AI party guests will not even attempt to accomplish. Everytime the player accomplishes one of these objectives, they give a slight “tell” — if you try to bug an ambassador, the player’s hand will dart out and suddenly retract, just like if you try to steal a book, you’ll motion to put it back until suddenly shifting it into your coat. The sniper’s job is to look at the crowd and figure out which of the dozens of characters is the human spy, and kill him. As it stood the game was almost exclusively based around recognizing these little telltale signs, but Hecker planned on expanding and deepening the gameplay.